A popular trend in crafting at the moment is a technique known as No Line Coloring, but how do you do it? We asked our designer Monica to show you how using Chameleon Pens. This is what inspired Monica, Spring is in the air! And I can’t help printing and coloring flowers! 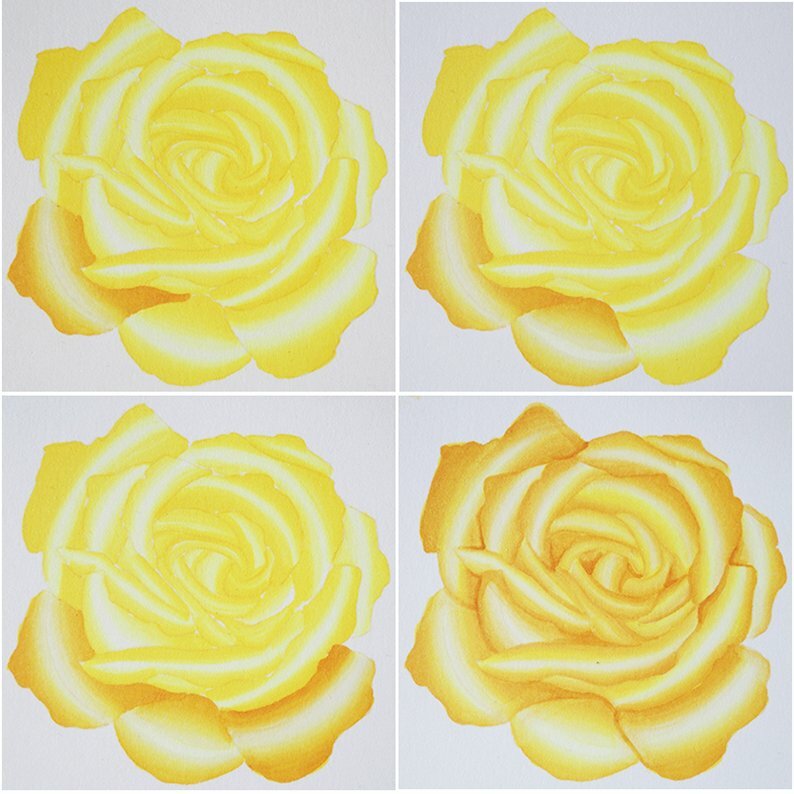 And I think that no line coloring technique is the best way to render the delicate and soft petal effects. 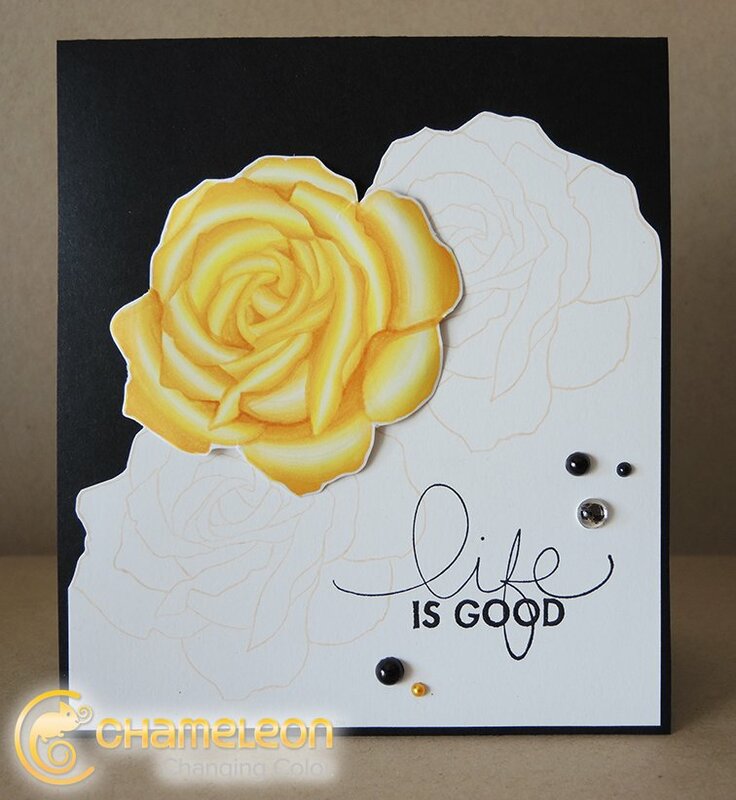 Materials Used: Chameleon Pens: Summer Sun (YL2), Warm Sunset (YO3), Deep Black (BK4); Stamps: Fifth Avenue Floral (Stampin’Up! ), Tampon Never Say Never (Kesi’art); Ink pad: Memento Desert Sand, Versafine Onyx Black; Card: Neenah Solar White card, black card stock; fine tip scissors; foam glue pads; half pearl beads. 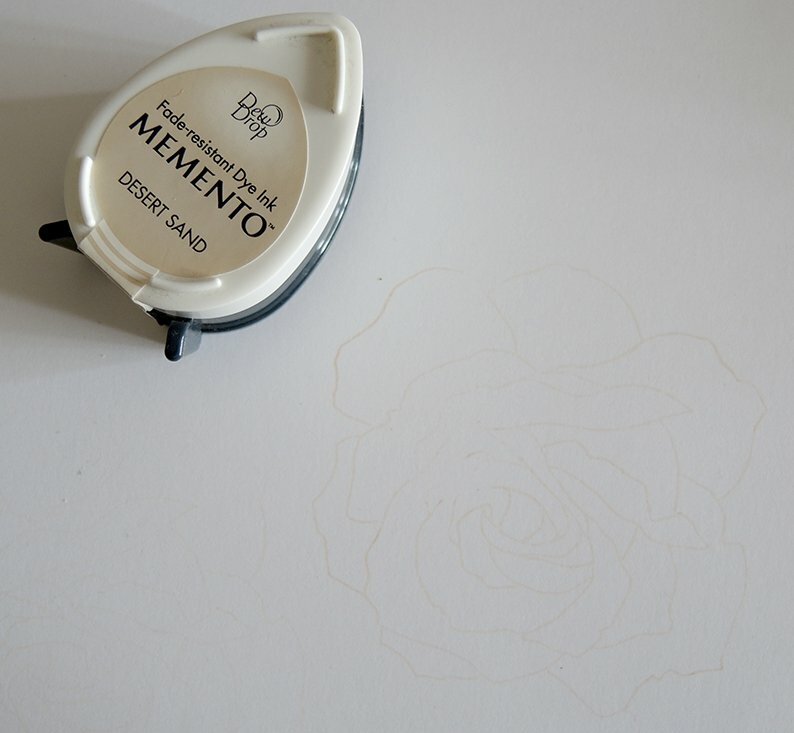 With Memento Desert Sand, print the rose onto a copy paper; then print the stamp onto Neenah card without re-inking (also known as second generation stamping). In this way you will have a print really pale that doesn’t interfere with the coloring. Using the brush nib, infuse the Summer Sun pen for 8 seconds and color the external petals, infusing the pen twice for each petal. 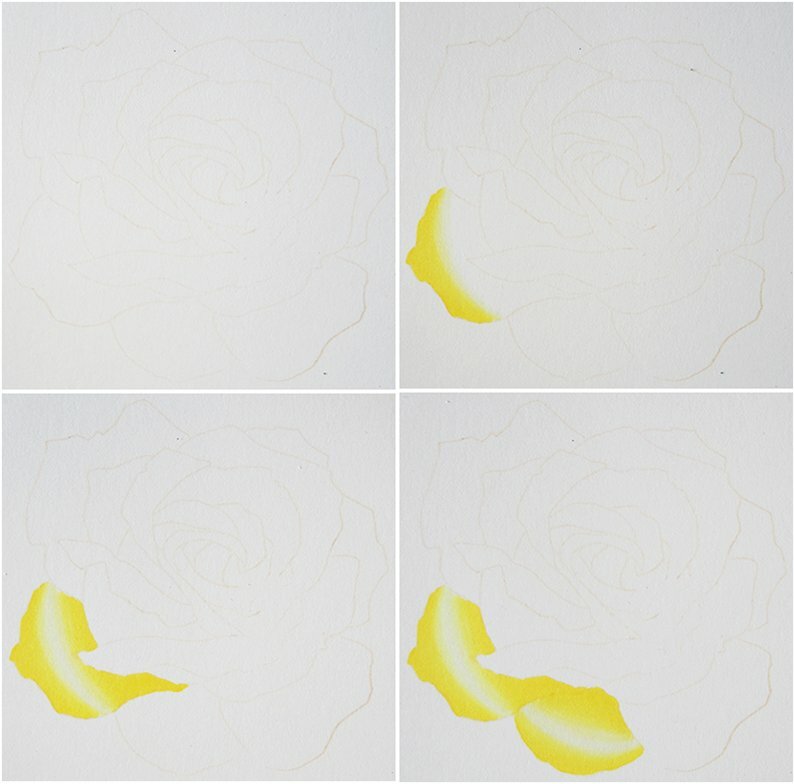 Proceed coloring the inner petal in the same way, reducing the infusion time to 5-6 seconds for the smaller petals. 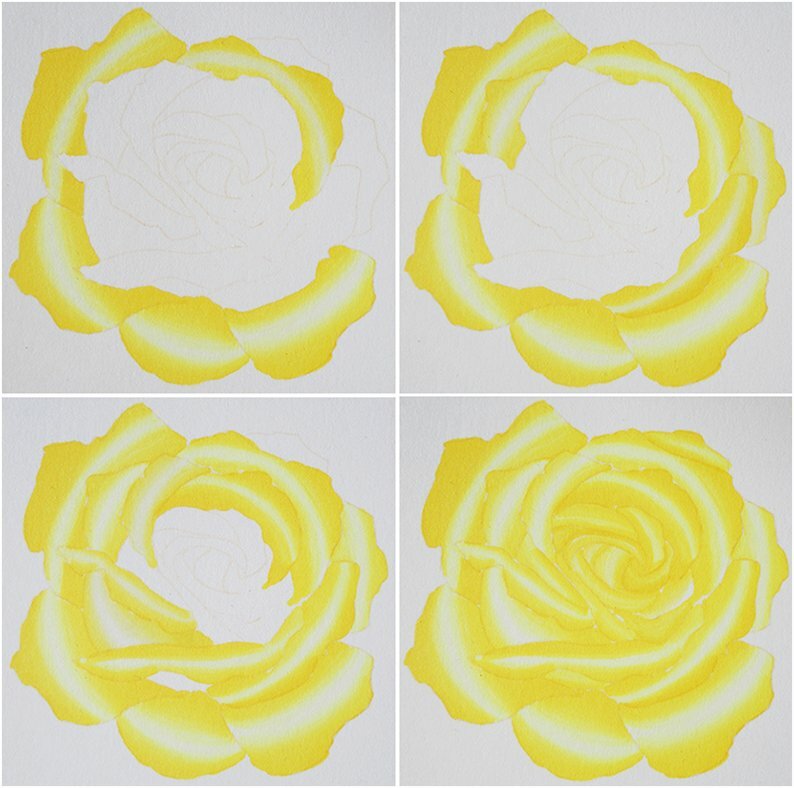 Repeat the procedure with Warm Sunset pen, then add some shadows using the bullet nib at the base of the petals. For the backgound of the card, stamp two roses onto the Neenah card with Memento Desert Sand, and cut out the upper side of the paper following the edges of the flowers, like in the picture. 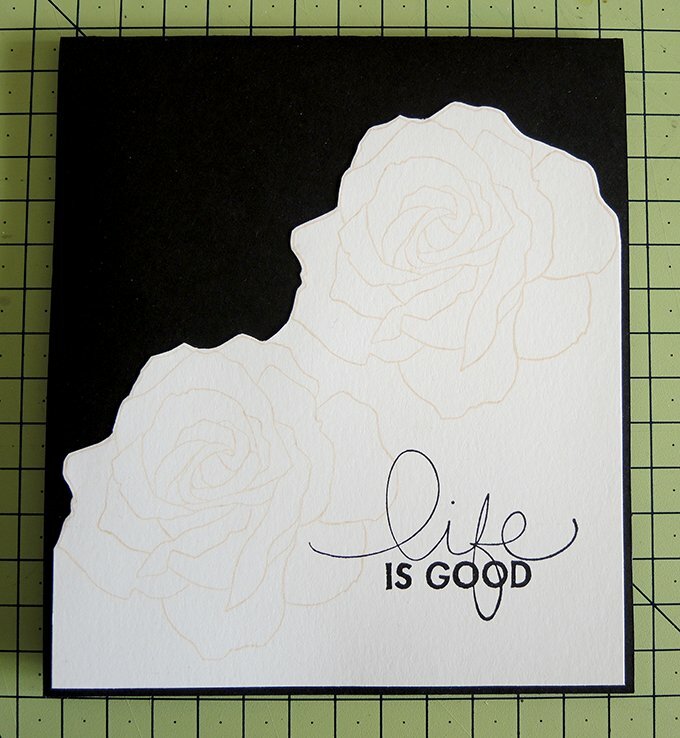 Fold a piece of black card stock and glue the paper with the roses onto it. 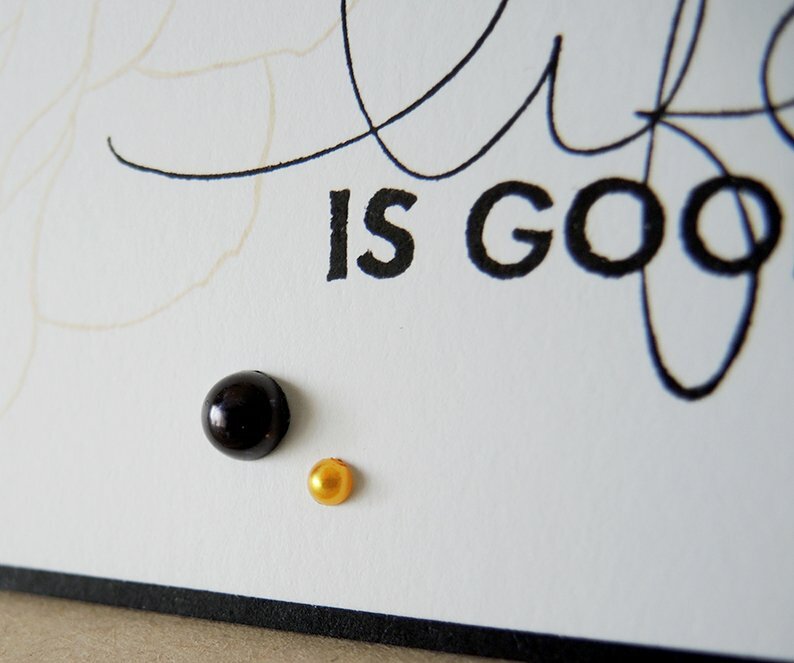 Then print the sentiment with Versafine Onyx Black. Add some pearls and gems: you can match the tones coloring some white pearls with the same Chameleon Pens used for the rose. If you like, enhance the shadows between the petals of the colored rose infusing for a few seconds the bullet nib of Warm Sunset pen. Curl gently the external petals of the colored rose, then attach it to the background using some foam glue pads. We think this technique works brilliantly with flowers, we would love to see your no line colored in projects using Chameleon Pens on our Facebook page so get colouring!